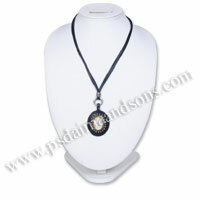 Avail from us exotically designed fashion leather necklaces that are made with finest leather. Our range of leather beaded necklaces are stylish yet very elegant. 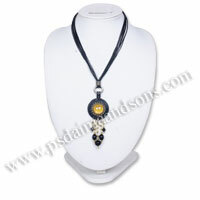 These necklaces are accentuated with beautiful beads and pendants. 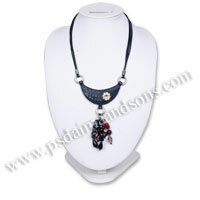 Our range of necklaces which includes brown and black leather necklaces can go well with Indian as well as western outfits. Our beautifully designed leather necklaces are worth buying to make a fashion statement.